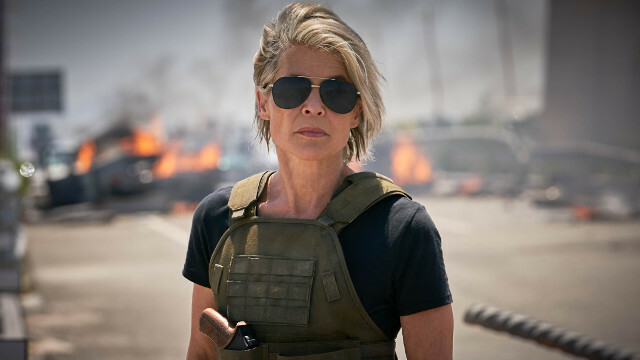 Later this year, Linda Hamilton will reprise her iconic role as Sarah Connor when Terminator: Dark Fate arrives in theaters. Hamilton’s involvement certainly has a lot of fans of the series feeling hopeful. The last three Terminator entries failed to match the success of James Cameron’s first two films. Sarah was unceremoniously killed off between Terminator 2 and Terminator 3. But that’s not the reason Hamilton isn’t a fan of the sequels that came after her films. She also specified that she watched every recent Terminator film except Terminator Genisys. That film attempted to launch an alternate timeline within the Terminator universe à la Star Trek and featured a rare endorsement from Cameron. He retracted that endorsement two years later. Hamilton previously lent her voice to Terminator Salvation, where she recorded messages for her son, John, on cassette tapes. However, Dark Fate marks the first time she’ll be physically playing Sarah since 1991. Unsurprisingly, she was skeptical about rejoining the franchise after an almost 30-year absence. Despite her optimism about the new movie, it sounds like she’ll need some extra arm-twisting to convince her to return for another installment. “I’m going to fake my own death so I don’t have to do another one,” said Hamilton. Terminator: Dark Fate is due for release on November 1. You can share your thoughts on Hamilton’s remarks in the comment section below!